The project was aimed at analyzing the iCoolhunt dataset in order to find possible correlations between color space and emerging trends. 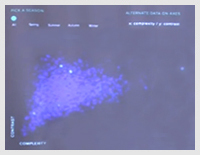 Through a filtering system, based on tag and categories, the users can discover the relationships between the images. The developed platform allows also to upload a new image and to analyze it by comparing its parameters with other images in the same category. 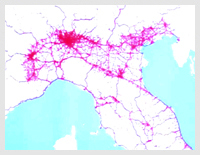 The project analyzed the open dataset (available on dati.camera.it) containing data from Italian chamber of deputies (people, mandates, votes, etc…). 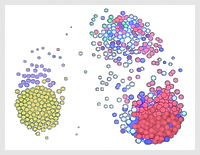 The model showed the vote patterns in order to compare group affiliation and party strategy with the actual behavior of politicians. The final goal was the search for a possible predictive model based on the vote analysis, that could be used for example to anticipate government crisis. The group work was focused on two main goals: (1) creating an ontology based on color psychology; (2) building a platform for the exploration of the iCoolhunt images. The users may explore the images through clusters and filters in order to have a detailed analysis of tags and most dominant colour for each image. 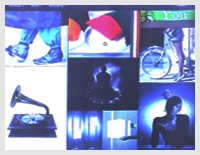 Furthermore the model provides a kind of prediction for the semantic attributes related to the pictures. The core concept of the project was to highlight the importance of “networks” for a successful startup. The data analysis allowed to investigate the geographical relationships. 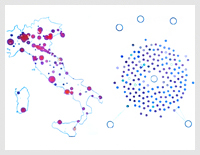 The visual representation showed firstly an overview about the Italian startup scene (the cities with the largest number of startups and the relative average revenues) and then it allowed to analyze in details how the startups are linked to other cities. The group work focused on using the dataset from GetItalia to track vehicles (mainly trucks) mobility over the Italian territory. The two main goals were: (1) identifying more used paths; (2) identifying lack in gas station coverage over the territory based on the stop (for refueling) analysis.